You shouldn’t be surprised to learn that floral prints are in full bloom for the spring season. However, the latest runway shows have given this trend an update by throwing it back to the 70s with large flower prints in bold, sophisticated colors. Because the patterns are larger and the colors are more refined, these updated floral pieces can be flattering on anyone. Continue reading to discover how you can have a spring fling with floral prints this season! If you are planning to pair florals with colors besides white or black, choose deep shades. Deep hues like royal purple or crimson can act as a neutral piece. Choose a bold print, and then add to your ensemble accordingly. To do this, pick one or two colors from the pattern’s palette. Floral prints usually have a nice selection of colors in the pattern. 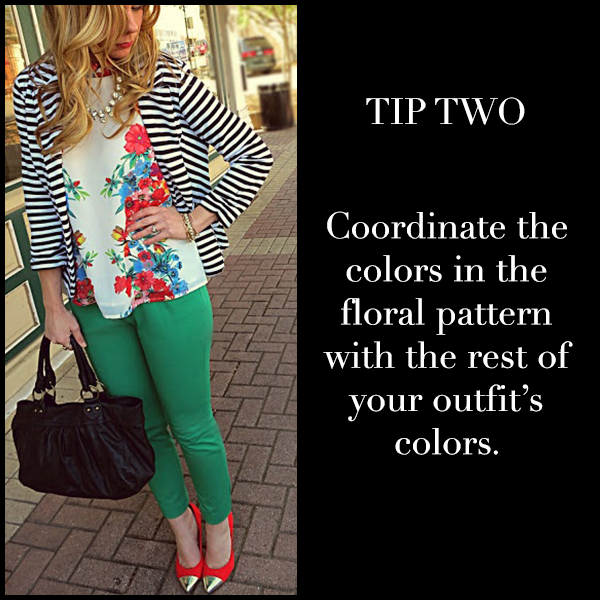 Use these colors for the rest of your outfit to create a cohesive look. Don’t be afraid to mix up your patterns. 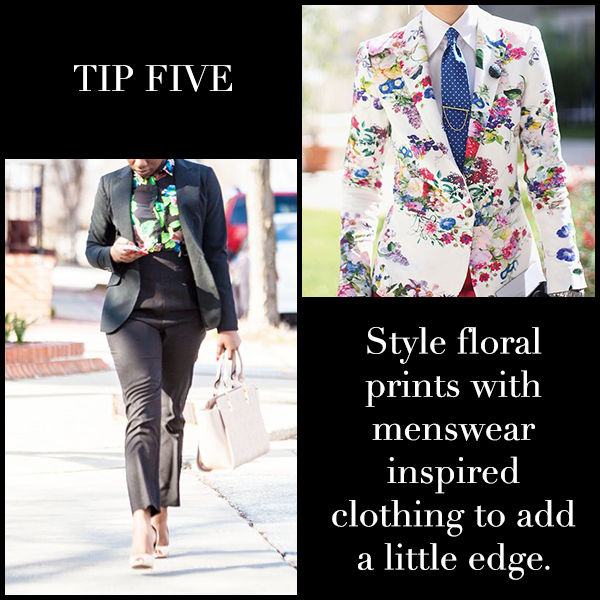 A good rule of thumb to follow is to wear floral pieces that look like they’re from the same garden. Test out this budding trend with accessories before diving head first. 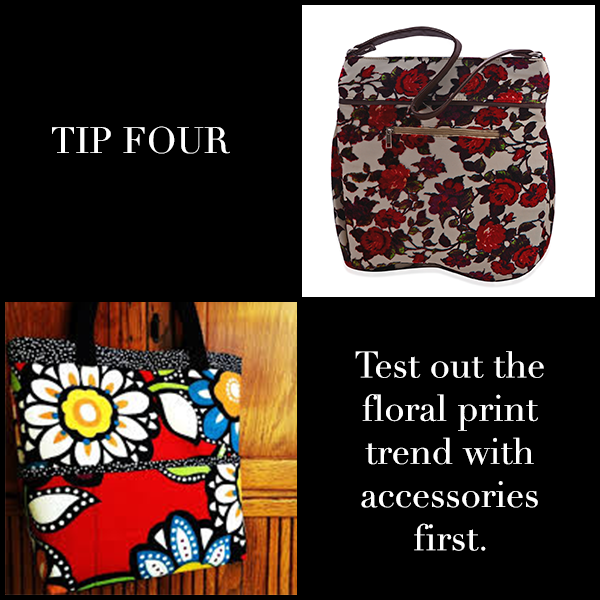 A key spring 2015 piece is definitely a bold floral print bag. Look for vivid graphic bags like this J Francis rose print shoulder bag the next time you need a new purse! Just because you’re rocking flower power, doesn’t mean you can’t add a little edge. Styling floral pieces with menswear inspired clothing is a great way to look like you know what you’re doing. Think tailored blazers, straight leg pants and crisp button ups. This is a great way to tie in floral prints when you’re headed to the office. Some people veer away from wearing floral prints because they don’t want to look like their grandmother’s curtains. To prevent this from happening, stick with bright floral prints in a modern design. It’s all about confidence, so don’t let the trend wear you. 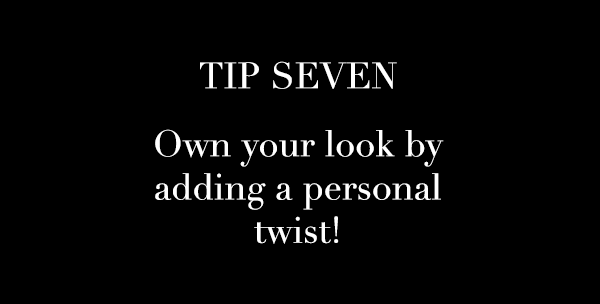 Own your look by adding a personal twist. Now that you’ve read our tips on this fresh take of a common spring trend, let your wardrobe have a moment in the sun this season. How do you plan to incorporate large floral print into your wardrobe?